There are two joints on both sides of your jaw. TMJ causes pain in the joints and muscles of the jaw. It is caused by several factors. The causes of TMJ are arthritis, genetics, grinding your teeth accidents. It can be managed with nonsurgical treatments in many cases. Another cause of TMJ is your disk moves out of alignment. TMJ produces pain in the jaw, pain around your ears, and pain when you chew. Sometimes the joints lock up making it difficult to open or close your mouth. 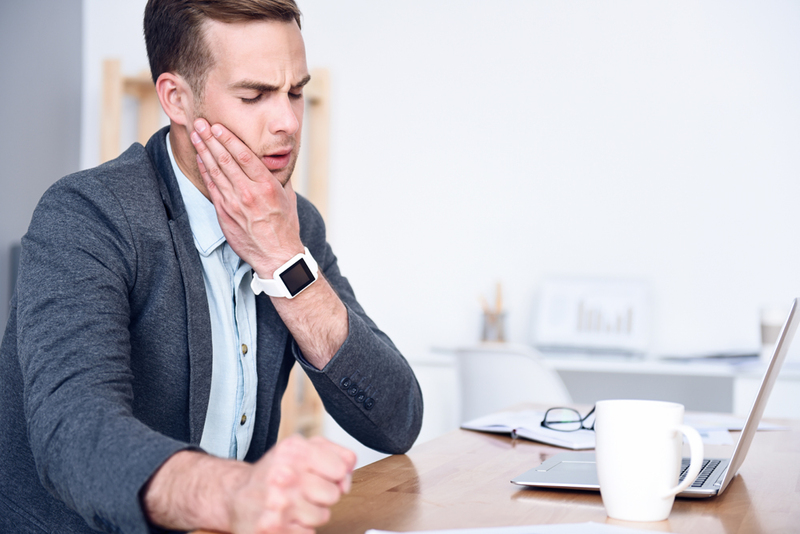 Often you have pain when chewing and your facial muscles ache. When you suffer from these symptoms contact our Upper East Side office to make an appointment with our chiropractor. When you come into our office for an appointment the chiropractor will exam your jaw. You will be asked to perform certain functions so they can see how the jaw is working. X-rays or imaging tests might be used to look for inflammation and injuries to the jaw. Once the diagnosis is made the doctor will recommend certain therapies for your TMJ. Chiropractic care provides adjustments and manipulations that can help with your jaw and neck. This treatment helps align the joints in the jaw and neck and ease pain. Our chiropractor is trained in many different chiropractic methods. Manipulations are performed using the hands or a special device. Chiropractic care treats joint, muscles and jaw pain. This treatment reduces your jaw pain and helps you to open and close your mouth more easily. Another therapy we use for TMJ treatment is regular or medical massage. There are different types of massages that can relax the jaw muscles and relieve pain. This therapy helps with the flexibility of the jaw and your ability to open and close it properly. It can relieve joint pain making your TMJ easier to manage. Our physical therapists will design special exercises that you can perform at the office and home to strengthen your jaw. The physical therapist teaches you these exercises and later you can perform them at home. Treatments in physical therapy might include ultrasound and moist heat and ice with these exercises. Acupuncture is used to treat TMJ pain. This is where thin needles are inserted into key locations in the jaw to control pain. Often a combination of therapies is used for the most effective results. Contact our Midtown office for an appointment for your TMJ. We are centrally located near Rockefeller and many NY zip code locations. The zip codes we are located near are 10022, 10017, 10020, 10036, and 10019. At Balanced Health Medical, we want to help you with your spine, back, jaw and neck pain. Contact our doctor at Balanced Health Medical by calling (212)-755-1717 today.